If slavery is synonymous with forced labor–that is, if a slave is defined as a person who is punished by someone (a master) for not working–then the transition from case 4 to case 5 made it no longer the tale of a slave. This is true because in case 4 the person must work three days a week or else face punishment by the master, whereas in cases 5-9 if the person chooses to never work they will not be punished by any master. It should be noted that to some degree the person in cases 5-9 is still a slave. This is because the master continues to enslave the person in emergency situations, as noted in case 5: “He also retains the power to recall them to the plantation if some emergency threatens his land.” In other words, if an emergency occurs and the master recalls the person, but the person chooses not to come, the master will punish the person, thus meaning the person is a slave. In our present society, this emergency slavery takes the form of military conscription (the draft) and jury conscription (jury duty). If a government imposes a draft and a person refuses to serve, the government may lock the person in a cage. Note that if the punishment for a person dodging the draft was that the government would seize the person’s property, then this would merely be extortion, or theft, as noted above. Similarly, jury duty is only slavery if the punishment for refusing to sit on a jury involves punishment of one’s body (e.g. being whipped or caged). Note that when the punishment for not paying a fine or a tax is imprisonment, the imposition of this fine or tax is enslavement (forcing someone to labor), since the government is threatening to punish one’s body (by locking him or her in a cage) if he or she does not perform the task of handing over their money (i.e. if they do not work). On the other hand, if the punishment for not paying a fine or tax is merely that the government will perform the act of seizing one’s property, then one is not being forced to labor. Therefore, in some cases, but not all, taxation, or more broadly extortion, is forced labor. What is the case in reality? If a person refrains from paying taxes, for example, will the government merely seize their money or will will the government also lock that person in a cage? I believe imprisonment is usually the case. 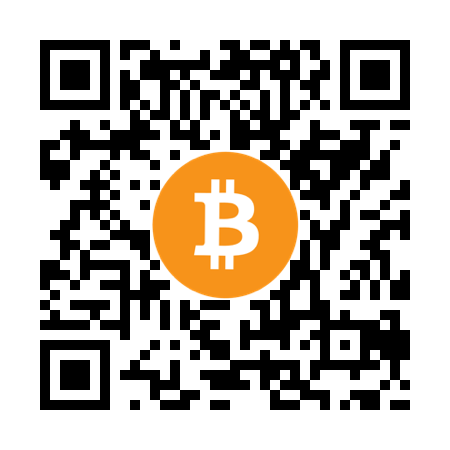 Note also that if a person has his or her money in Bitcoin, for example, rather than dollars in a bank, it may not be possible for the government to seize their money and thus the government may almost certainly choose to imprison them, if not to punish them then to attempt to persuade them to hand over their money. Therefore, in practice, taxation is usually forced labor, although in principle it can merely be extortion. Thus, in one sense (other than the jury duty / draft sense) nearly everybody is still a (forced labor) slave, since nearly everybody must perform the act of paying taxes in order to avoid being put in a cage. However, people today are not slaves in the sense that they are not punished for not working generally. This is an important distinction between people today and the slaves of history. It is this distinction that made me say that the transition from case 4 to case 5 in Robert Nozick’s “The tale of the Slave” made it no longer the tale of a slave. Due to the great significance of this distinction, I maintain that people today should not be called slaves, despite the fact that they do technically fit into the category of slaves since they are still forced to labor by governments in a few instances, as described above. I’d argue that it is reasonable to say people today are not slaves despite these exceptions for the same reason that if a thief held a cashier at gunpoint and demanded that he or she hand over all of the money in the cash register, nobody would call the cashier a slave despite the fact that the thief was technically forcing him or her to work. Anyway, what was the point of thinking through all of this? I wrote about it out of pure curiosity, but perhaps there is a good reason why even people who are not curious ought to be interested in Nozick’s tale. While the situation we find ourselves in is significantly different than the situation slaves found themselves in two hundred years ago, Nozick’s tale illustrates that certain features of our situation today are uncomfortable similar to features of slavery. UPDATE 01/05/2014: “Slavery,” properly defined, is not quite a synonym for “forced labor,” as was pointed out here. It is also from Jan. 04 and goes into (not quite so much) Nozick’s Tale of the Slave. I’ve also decided to update my post to link to yours. Not at all. I’ll check out your post.